Methadone is an opiate narcotic analgesic. Methadone has two main functions. It is prescribed to relieve moderate to severe pain in patients when non-narcotic pain relievers do not achieve adequate results. It is also used to prevent withdrawal symptoms and dependence in patients who are addicted to opiate drugs, such as heroin or morphine. When used to treat moderate to severe pain, methadone works by changing the way the nervous system and the brain respond to pain. Methadone is considered an opiate (narcotic) analgesic. Methadone is used every four to 12 hours to relieve pain. The prescribing physician will decided on the correct dosage based on the needs of the individual patient. Dosages may be increased or decreased depending on the level of pain relief achieved. Methadone should not be stopped without first discussing this with the prescribing doctor. Doctors generally decrease the dosage to avoid any withdrawal symptoms. Methadone has been used for over 30 years to safely and effectively treat narcotic withdrawal and dependence. Heroin or morphine type drugs release an excess of dopamine in the body and cause users to need heroine or the drug of choice to continuously occupy the opioid receptor in the brain. Methadone works by occupying the opioid receptor and is the stabilizer to allow addicts to change their behavior and stop heroin or other opioid drug use by eliminating withdrawal symptoms. Methadone suppresses narcotic withdrawal for 24 to 36 hours. It reduces cravings associated with heroin or other opioid drugs and blocks the high and does not provide an euphoric rush. Patients on methadone do not experience extreme highs and lows associated with different heroin levels in the blood stream. Methadone withdrawal is slower than heroin withdrawal. Addicts on methadone do not experience the harsh side effects of heroin. Many patients require continuous treatment for several years. 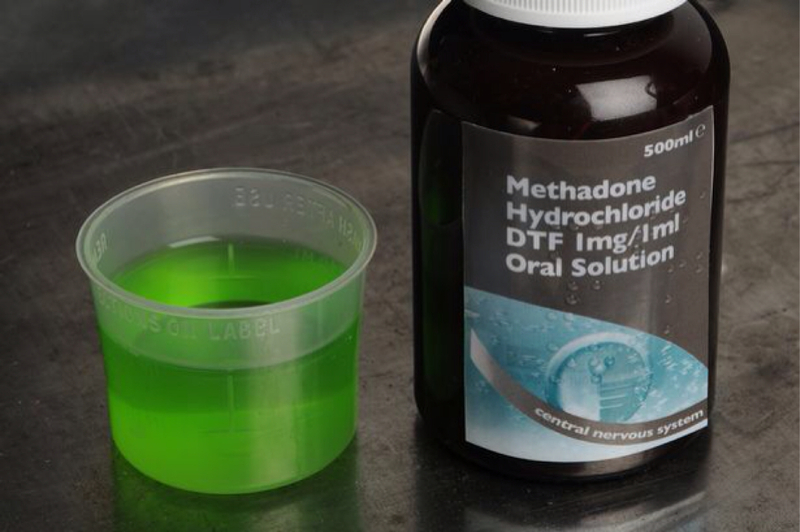 Methadone treatment programs are highly regulated by the U.S. Food and Drug Administration. Patients on a methadone treatment program for opioid addiction are required to report to methadone clinics and physician offices to obtain doses of methadone. Patients need to contact their doctor immediately if they experience any seizures, itching, hives, or have a rash. The risk of these side effects is greatest when methadone is first used. Doctors may start a patient on a low dose and gradually increase the dose as the body adjusts to the medication. Never take more methadone than prescribed. If taking methadone for pain management, pain may return before it is time for the next dose of methadone. Do not take an extra dose. Methadone can build up in the body and cause a life threatening side effect. Talk to the doctor if the pain medication is not lasting long enough between doses. Methadone is an effective treatment for patients in severe pain. It can be used safely and has shown positive results in opioid addicted patients. Methadone should be stored in a safe place and never be used by a person that was not prescribed the medication. Keep track of how many tablets or how much solution is left to help determine if any is missing. Always keep appointments with doctors, clinics, and laboratories. Physicians will need to check on every patient's response to methadone. Methadone is not a refillable prescription. Patients will need to see the doctor each time a prescription is needed.